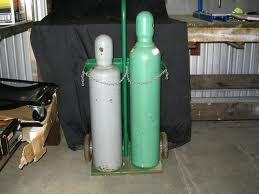 T & R Welding Supplies has oxygen tanks, acetylene tanks and CO2 available. Oxygen and acetylene tanks are used for a variety of uses. We have CO2, oxygen and acetylene tanks for welding projects, home use, restaurants and taverns. If you need to exchange your oxygen and acetylene tanks on Saturdays, we’re open from 10-3. Need to come in later? Contact us for arrangements. We have oxygen tanks for storing supplies of oxygen. We offer cylinder exchange for oxygen, acetylene, C-25 and Argon, 20lbs. Our oxygen tanks come with accurate oxygen regulators. The oxygen regulators properly controls the amount of oxygen released from the oxygen tanks. Contact T & R Welding for reliable and safe oxygen tanks and oxygen regulators. Do you have a restaurant or tavern? The right amount of CO2 will determine the taste for your beer and soft drinks. The wrong amount of CO2 and pressure can lower the taste quality of beer and soft drinks. We offer accurately measured and pressurized CO2. Our CO2 insures your customers will enjoy fresh tasting beer and soft drinks. Have a personal keg? You can get CO2 for your personal keg. Acetylene tanks separate water from oils, greases and other particles. This helps your septic system work right. Acetylene tanks come in different sizes and can be used for commercial, industrial and residential use. We offer heavy duty acetylene tanks. Our acetylene tanks consistently separate substances from your water. This decreases problems for your septic and sewage systems. Choose T & R Welding for your CO2, Oxygen and Acetylene tank needs. You can pick up CO2, oxygen and acetylene tanks or we’ll deliver them. Contact your Welding Supply Specialist at 253.272.0467. Open Monday-Friday: 8:00 a.m. to 6 p.m. Copyright © 2019 T & R Welding Supplies | All Rights Reserved.